This is version 02.01 of the SH-06E root tool. This rootkit is intended for build versions 1.00.08 and 1.00.09. For earlier build versions, please use version 01.01 of the rootkit. The Readme.txt file has not been translated. Please do not upload this English translation of the rootkit anywhere else. What do you mean? There are no viruses in any of my uploads. Maybe your antivirus has mistaken a .bat file for a virus? Hello, I am getting the same thing from google drive, it says that "virus infected, only the owner can download the file" Can you please upload a new one to a different location? Thanks in advance!! There's no virus or anything harmful in the rootkit whatsoever. I suppose Google are doing this on purpose, trying to prevent people from using whatever unofficial tools there are to circumvent whatever official protections exist. Anyway, I have linked the downloader back to my own hosting server - you should be able to download it now. thanks for saying so.. i have 1.0.10 too you saved me the effort of trying. anyway... do you think we could ever upgrade to lollipop?? Not a chance, sadly. 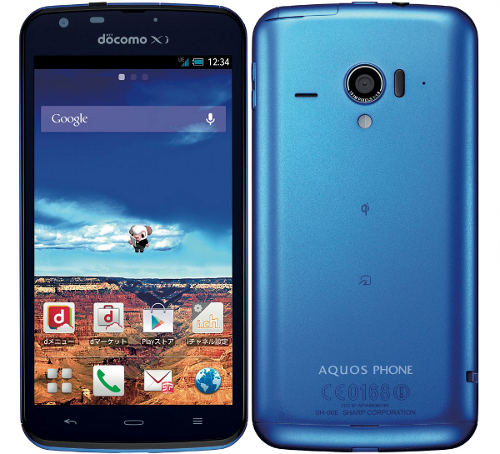 Docomo announced last month the models that will receive the 5.0 update - only two: the SH-04F and SH-01G. Hi Cheeseus, I am new to this forum. could you help with rooting Sharp SH-06E on build no: 1.00.10, it looks like mission impossible :-( for now. Unfortunately, the original author has not released any updates to the rootkit to make it work on version 1.00.10. And the last time he wrote anything on his blog was almost one year ago. Hi Cheeseus, thank you for reverting. I just wish someone could help me with rooting this phone as its an excellent phone and if I could root and install some Custom ROM, would be a breeze to use. Sorry to disappoint again. Even if a Sharp Android can be rooted, no one has ever managed to unlock the bootloader. No such thing exists as "different ROM for Sharp". These are the world's most heavily locked devices.